Orebic is a small town, which lies on the southwest part of peninsula of Peljesac in Croatia. Surrounded by pine forests and clean Dalmatian sea, Orebic is perfect destination for relaxing vacation. The surrounding mountains protect the city from the wind and other weather inconveniences. There’s also a Maritime museum, where you can get sight of what maritime life once was in the city. Since the peninsula of Peljesac in linked to the mainland, Orebic is easily accessible by car; however, if you don’t feel like driving all the way, you can take a ferry from the town named Ploce. Ferry trip will save you about 100 kilometers of driving. If you like unspoiled nature, then you will enjoy that Dalmatian peninsula. Orebic is, as well as the entire peninsula of Peljesac, gorgeous and full of natural beauty, which will certainly charm and amaze you. If you have your own boat, you can explore the hidden nooks and bays, where you’ll enjoy a smooth and relaxing peace and silence. Don’t be worried about beaches. Beaches around the town of Orebic are clean and beautiful, covered with gravel stones. This can assure you that sharp stones will not cut you in the back while sunbathing, as well as walking into the sea will not be painful at all. If you are looking for parties and wild night time entertainment, then Orebic is not the best choice. This town is calm and peaceful. With excellent conditions for relaxation, it offers visitors getaway from wild everyday urban life. 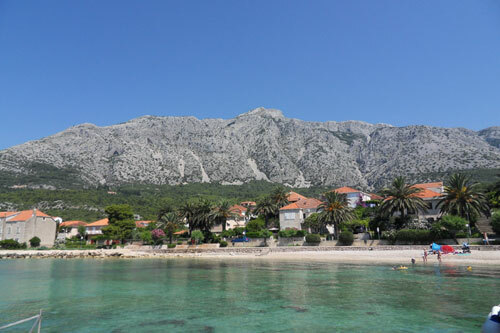 But since Orebic is situated opposite the town of Korcula, you can take a boat or ferry and take advantage of another beautiful town, where you can enjoy night time parties or take an all-day sight-seeing tour. Since Korcula is known as an interesting and beautiful city, you definitely won’t regret your visit there.